After narrowing her list down to five teams, the nation’s top prospect announced that she will be headed to Louisville in 2015. Louisville received a huge commitment today with the verbal pledge of the nation’s top prospect, Asia Durr. Durr, the dynamic do-everything guard out of Atlanta, committed Tuesday afternoon. Her verbal pledge adds to an already top tier class with commitments from Taja Cole and Brianna Jones — both top-15 recruits. Durr, the most sought out guard in the country, gives Jeff Walz another dynamic playmaker at the guard position. Her other finalists were Maryland, Duke, Baylor and Notre Dame. And while Walz is known for his brilliant X’s and O’s as a coach, he’s become quite the elite recruiter with a class shaping up to be one of the finest in the country. With commitments from aforesaid Cole and Jones, plus top-30 recruit 6-foot-5 Erin DeGrate out of Waco, TX and Durr, this class could be the one that brings Louisville its first national championship. With the success he’s had with elite guards in the recent past, Angel McCoughtry and Shoni Schimmel, it’s no wonder Durr figured that Louisville would be the best place to hone her skills. 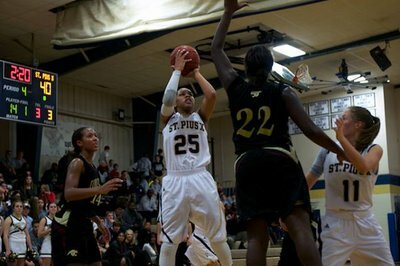 Durr, who was named Georgia Gatorade Player of the Year, averaged 24.4 points, 7.1 rebound and 2.5 steals last year for St. Pius (30-3) en route to leading the Lions a state title. She also was the second leading scorer, 13.4 points, for gold medal winning Team USA in the 2014 FIBA World Championships. For more on Durr’s recruiting process to this point, check out our storystream about her.